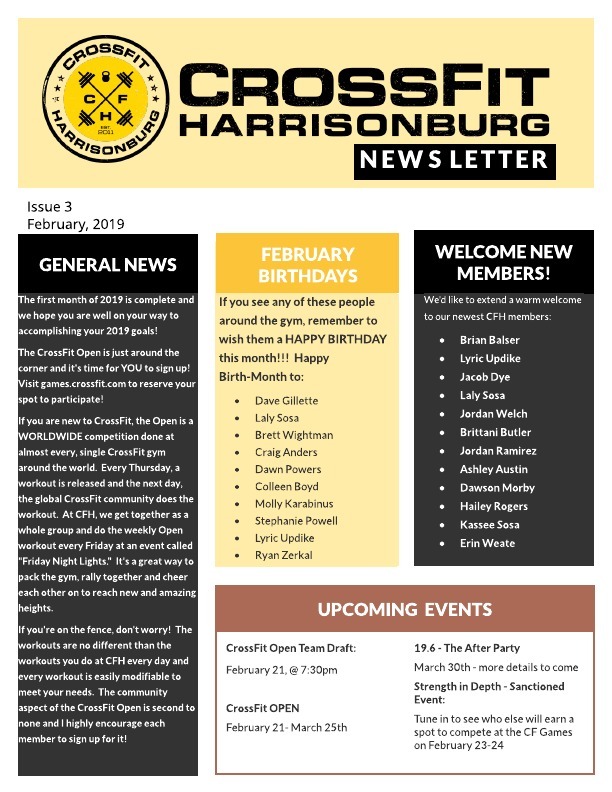 Welcome to the February 2019 CrossFit Harrisonburg newsletter. 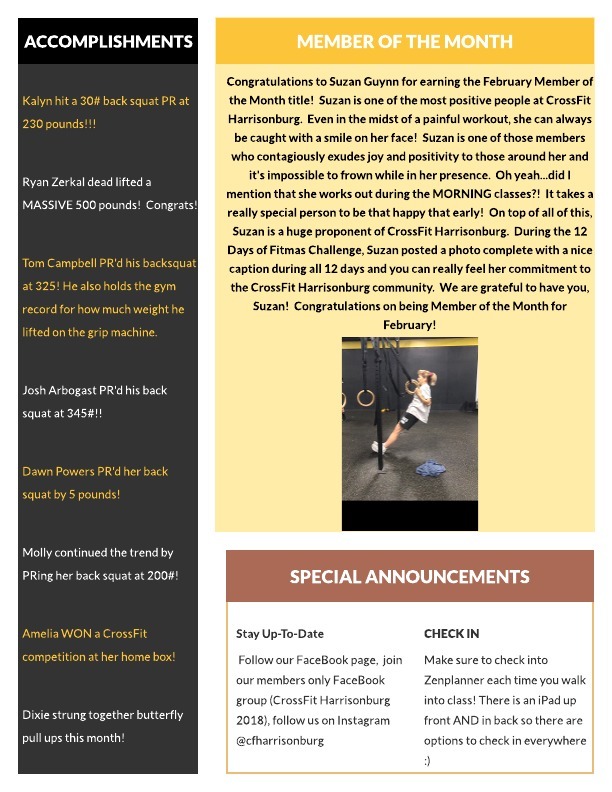 Join with us as we celebrate new members, the upcoming Open, our members’ birthdays, our athletes’ accomplishments and our member of the month, Suzan Guynn. Stay informed about happenings at CFH and come join us.